Jutoh exports to Epub, Mobipocket (via kindlegen), ODT, HTML, CBZ, text and Markdown. Epub and Kindle cover the majority of distributors, including Amazon, Apple, Nook, Kobo, and Google Books. 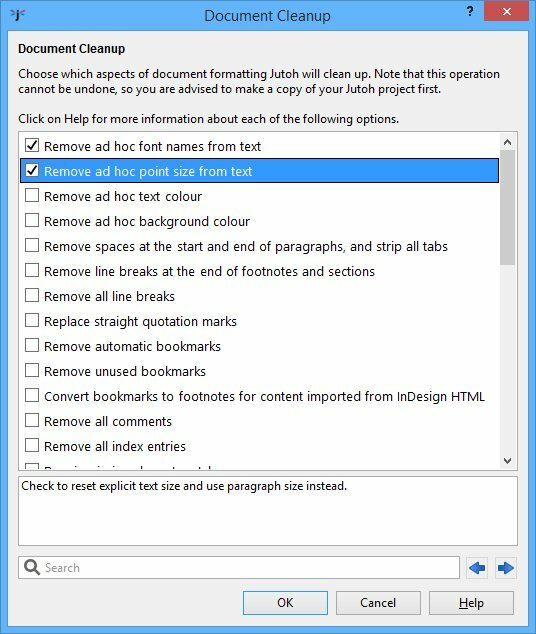 Jutoh has a range of tools for paragraph and text formatting. You can add custom paragraph styles to the built-in styles, and you can specify custom CSS for each style (or the whole style sheet) if required. Define keyboard shortcuts and favourites to quickly apply styles to your document. Jutoh analyses your project, detecting potential problems and suggesting formatting improvements, providing quick links to relevant commands and articles. This saves you valuable time since you can fix problems before uploading your books. Years of customer feedback have contributed to these checks, articles and tools. The powerful Document Cleanup feature allows you to quickly improve formatting throughout your book, with options that include replacing blank paragraphs, removing direct colour and font formatting, removing comments, removing unused bookmarks, replacing straight quotation marks, and more. Jutoh creates OpenDocument Text (ODT) files complete with page styles for different sections of your book, allowing for different headers and footers in different parts of the book. 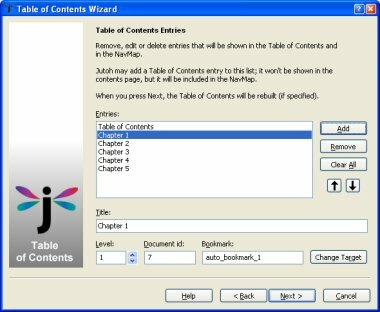 It can also export a full table of contents with both hyperlinks and page references, and footnotes and alphabetical indexes will also be exported in the native ODT format. Using an application such as the free OpenOffice.org, you can quickly convert the ODT to PDF suitable for printing, viewing online or sending to a print-on-demand service. Jutoh can create MP3 files or read text from the current document using Windows SAPI, Apple Speech Manager or a variety of external helper programs (CereVoice, Cepstral and eSpeak). Jutoh supports creation of multiple lexicons with industry-standard PLS output or inline pronunciation substitution; tools for detailed speech markup are provided. Jutoh's Speech Archive file format lets you send your marked-up documents as small files that the recipient can turn into audio files using the Jutoh demo. Jutoh has extensive support for bitmap images, including specifying conversion format and quality, and image size (dynamic within the ereader and also static resizing on compilation). Jutoh can convert absolute sizes to percentages so your images scale to the different display sizes. Jutoh supports floating images, where text flows to the left or right. Jutoh can import tables and text boxes, and you can also create new ones. The drawing object gives the author the choice of outputting a bitmap, an SVG image, or MathML code, depending on the target ebook format and platform. 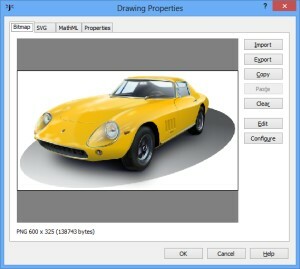 From the drawing object properties, you can edit, import, export and preview the image. Edit your image or formula in a helper application, such as Inkscape, GIMP or LibreOffice/OpenOffice Math, and reimport it into Jutoh with the click of a button. Copy formulae from a Word document, or import a whole ODT document full of MathML or SVG images. Jutoh is principally an editor for reflowable books, but you can also create fixed layout books by adding fixed layout pages. You can then specify background images for the pages, and position further images and text boxes. Magnification of regions is automatically supported for Kindle. Jutoh can export fixed layout ebooks for Kindle, iBooks and Epub 3. Pages are split into two HTML files or joined into a single HTML file from two pages, as determined by the way the project was created and the target format. You can quickly preview the book section you are working on in a web browser window. 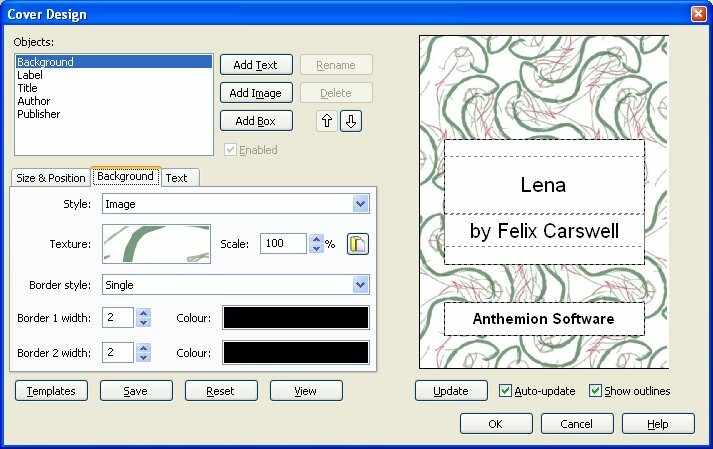 Jutoh's cover designer lets you quickly create a simple cover design for your book, and a number of templates are provided. 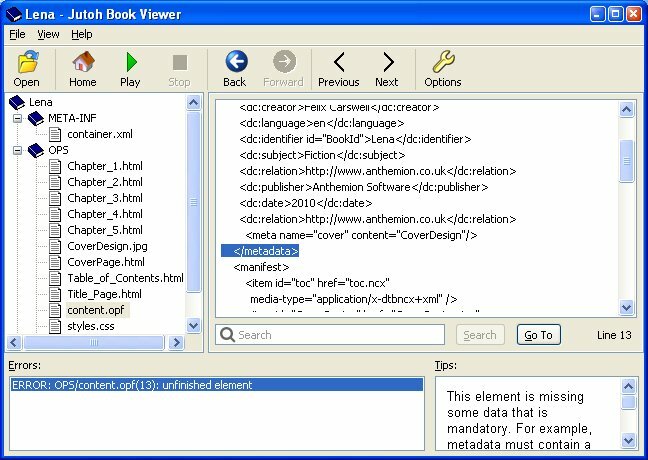 You can change the layout of a design and add more text and pictures; keywords in the design are updated automatically from the book's metadata. By default, Jutoh can create a simple table of contents from chapter titles, without intervention. 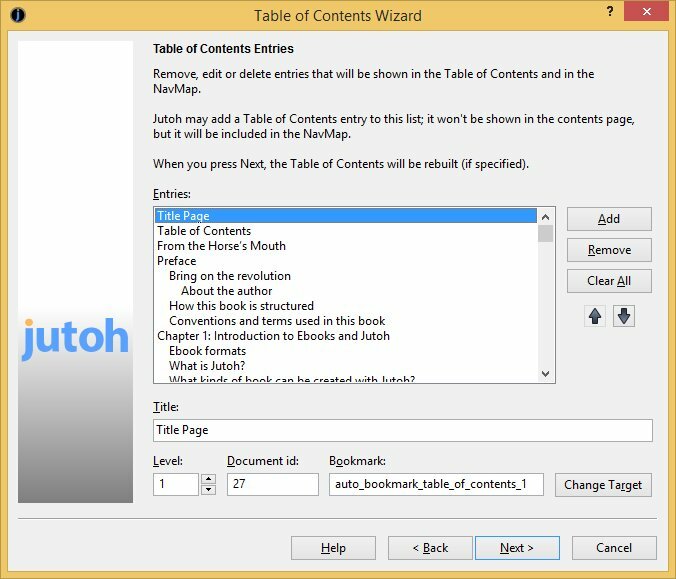 If you need finer control of your table of contents, Jutoh has a wizard to make it easy for you to build the contents page based on the styles of the headings in your book. You have control over the entries in the book, and can add new links by hand if required. Import your index entries from DOCX or ODT, or insert them by hand, and Jutoh will create a multi-level alphabetical index in seconds. Great for non-fiction authors. Jutoh supports footnotes embedded throughout the document, and can add them to the end of chapters or create a separate endnotes page. Footnotes are supported in DOCX and ODT import. Citations are imported from DOCX and ODT, and the user can store and edit multiple bibliographic databases per project. The Bibliography section can contain just citations, or all references in a database. 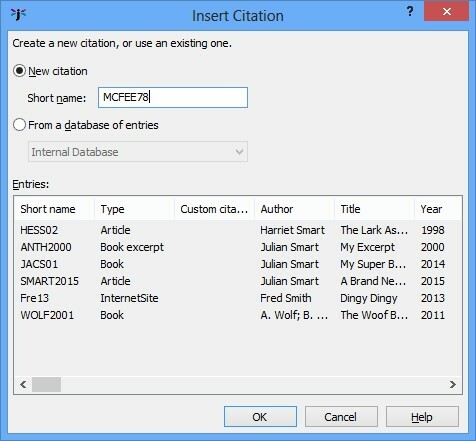 A lot of behaviour can be customised, such as the formatting of citations and the bibliography section, and whether adjacent citations are merged. An formatting language is provided for detailed specification of how each bibliography entry will be formatted. Cross-references allow you to create dynamic content; so for example, you can cross-reference a heading without typing the heading, ensuring the heading title will be updated if you change the original text. 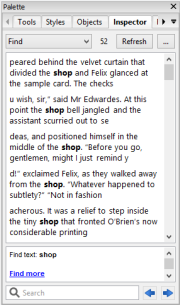 You can use reference marks to extract text from arbitrary content; and caption numbers and/or text can be specified. 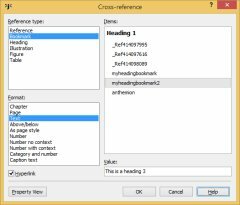 Cross-references will be imported from Word or ODT. Customise the appearance of links in your document by defining 'link styles' and applying them to categories of link, such as internal link, external link, cross-references, table of contents, and more. Jutoh generates Epub 3 SMIL files for synchronising narration with content (iBooks fixed layout ebooks/Epub 3 only). Jutoh lets you customise automatic replacements (for example, replacing (c) with ©) and also does automatic quotation replacement. Jutoh includes Adobe's EpubCheck, a button click away. If there are errors in the generated file, errors will be shown in context using Jutoh's source viewer. The source viewer supports search within a document and you can go to a specific line. You can also use the viewer to examine other Epub files, not just ones generated by Jutoh. The Find and Replace dialog lets you search for formatting as well as text, and you can optionally use regular expressions to perform searches that you can't with plain text. 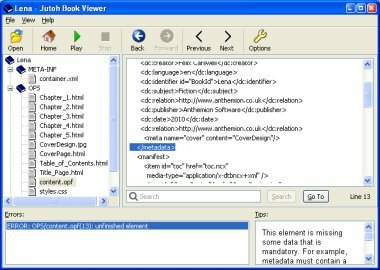 A preset facility allows you to build up libraries of searches, stored either within projects and or globally, for very fast application of commonly-used searches. In addition, Jutoh Plus can use these preset libraries to output custom compile messages, effectively allowing you to search for multiple criteria simultaneously and providing a powerful proofing tool. In addition to Find and Replace, Jutoh has a Find All feature available from the Edit menu or via the Find mode in the Inspector. Instead of finding one match at a time and clicking Find for each match, you can show all matches in a list. This can make it very quick to verify whether certain text (or formatting) exists in the project, and how many matches there are; and you can click on each match to view or edit the content. Each match is shown with some context before and after it. As you type, the list of matches is updated automatically. You can optionally find all using a global or per-project preset. When you're editing a manuscript and checking consistency, this can speed up the process considerably. Your current word count is displayed on the status bar, and you can also see more detailed word count information using the Word Count menu command. You can set yourself writing goals, and check out your previously achieved goals and how much you've written since then. Use keyboard shortcuts to make editing your projects fast and natural; choose shortcuts to assign to your favourite commands and formatting styles. The comprehensive help with near-instant search contains the Jutoh manual and a knowledge base of over 300 articles. The help window allows you to browse Jutoh manuals from within Jutoh, side-by-side with your work. You can maximize it to take up the whole window while reading a topic, or unpin it to show it in a window of its own. You can keep your research and random ideas: notes, pictures, and document and web links. Access to tools and applications is available via the Jutoh Desktop. You can customise the desktop look, add your favourite applications and documents, and create text and picture notes. You can even create a rolling slideshow of pictures to inspire you. Specify editor font styles and sizes; and brighten up window backgrounds with the supplied textures, or your own.